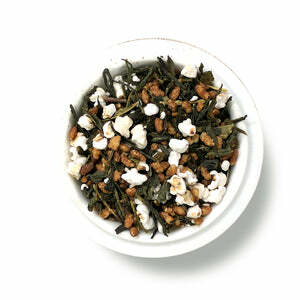 Ingredients: Green tea (Sencha), roasted rice, popped rice. 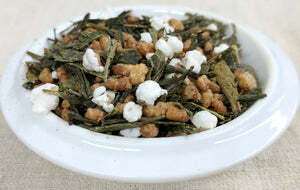 The legend of Genmaicha is that it was discovered by Buddhist monks that had mixed leftover browned rice from their iron pot with their tea in an effort to prevent waste. There's another story of a Samurai dropping part of his morning snack into a general's tea, and being severly punished (i.e. beheaded) for ruining the tea. We love this tea for it's deliciously smooth Sencha (higher grade tea) blended in with a nutty and almost chewy toasted rice that perfectly complement each other. This tea is wonderful in the morning for a savory sip, or throughout the day. 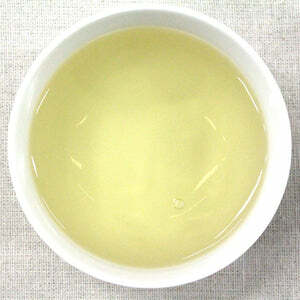 Mug (8oz water):1.5 level tsp • 185º • Steep for 3 min. This tea has great flavor! The perfect blend of toasty goodness and much loved green tea!